Kenyatta is charged with orchestrating crimes against humanity during Kenya’s 2007-08 post-election violence, and his trial was supposed to begin on 7 October. 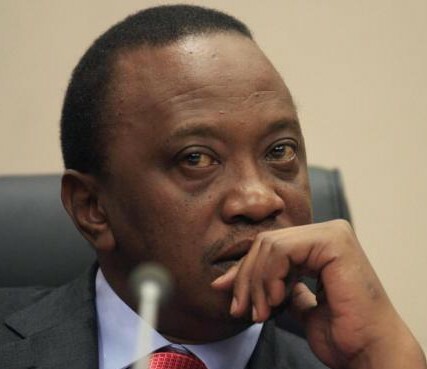 However, ICC Prosecutor Fatou Bensouda asked judges to postpone the start date until the Kenyan government fulfilled requests to hand over Kenyatta’s phone, financial and land records. Following the withdrawal of several key prosecution witnesses late last year, the prosecution says it does not consider the evidence available to be sufficient to prove Kenyatta’s alleged criminal responsibility beyond reasonable doubt. It believes that the requested records may hold crucial evidence. During the hearing this week, Kenyatta’s counsel asked judges to drop the case and acquit the president of all charges. Kenya’s attorney general had earlier stated that the government had complied with the prosecution’s requests to best of its ability. However, prosecutors asked the judges to adjourn the case indefinitely until the Kenyan government complies with the cooperation requests, which they say remain unfulfilled. They also stated that if the judges agreed with the prosecution that judges should make a formal finding that Kenya is not cooperating and to refer the matter to the Assembly of States Parties (ASP) – the ICC’s governing body. Bensouda also insisted that she has evidence linking Kenyatta to the post-election violence. Fergal Gaynor, the counsel representing victims, said that the victims will be the biggest losers if the case is dropped with no prospect of national justice to date. He also called on the Kenyan government to cooperate with prosecution’s requests. Physicians for Human Rights called Kenyatta’s appearance at the Court a step forward for holding even the most powerful officials accountable, while the International Federation for Human Rights (FIDH) said must be seen as the opportunity to place victims’ right to truth and justice at the center of the ongoing debates on the fate of the case, and called on the Kenyan government to ensure full cooperation with the ICC. Kenyans for Peace with Truth and Justice urged judges to take all necessary measures to ensure compliance with their directives in the case against the Kenyan president. Ahead of the hearing the International Commission of Jurists-Kenya spoke to Al-Jazeera on the issues, while the International Justice Monitor outlined the case history to date. Before leaving for The Hague, Kenyatta said he would be appearing at the Court in his capacity as a private citizen, handing off the presidency to Deputy President William Ruto during his absence. Kenyan politicians praised Kenyatta’s decision to attend the hearing, and a contingent of Kenyan MPs traveled to The Hague with him. Uganda’s president criticized the ICC for making Kenyatta appear in Court, while the Inter-Governmental Authority on Development asked the ICC to delay the trial until he leaves office. A Deutsche Welle columnist argued that the ICC’s troubles with the Kenyatta case show that the Court needs to be strengthened financially and structurally, including the creation of its own police force. Listen to blogger Mark Kersten discussing the case. Meanwhile, the American NGO Coalition for the ICC (AMICC) responded to a New York Times op-ed that criticized the ICC’s handling of the Kenya cases. The International Crisis Group warned that the CAR’s transition is at risk and Amnesty International urged the UN peacekeeping mission in the country to do all it can to protect civilians amid a resurgence of violence in which a peacekeeper was killed. The new clashes in Bangui resulted in “many casualties,” according to the Red Cross. Meanwhile, a UN official said that a lengthy postponement of elections risks worsening the crisis in the CAR, and the anti-balaka forces called for the CAR’s interim president and prime minister to resign and ordered their ministers to pull out of the government. ICC judges will recall a witness in the Jean-Pierre Bemba case to testify on alleged collusion between prosecution witnesses. The ICC Appeals Chamber confirmed the decision summoning reluctant witnesses to testify in the trial of Kenyan Deputy President William Ruto and broadcaster Joshua Sang. Meanwhile, a witness in the trial said that he cannot recognize Sang’s voice and never listened to his radio show. The International Bar Association Human Rights Institute will hold an event showcasing Darfuri lawyers’ projects aimed at protecting women’s rights in Darfur. ICC judges called on Saudi Arabia to arrest Sudanese President Omar Al-Bashir, while Sudan’s foreign minister visited Cairo to prepare for an upcoming visit from Al-Bashir. Sudanese rebels said that President Omar Al-Bashir should follow the Kenyan president’s example and appear before the ICC. The acting governor declared a state of emergency in North Darfur in an attempt to curb rampant insecurity. The trial of Bosco Ntaganda is scheduled to begin on 2 June 2015. The UN Security Council called on the FDLR rebels in the DRC to surrender and disarm. The Human Rights Network Uganda, the Uganda Coalition for the ICC and Advocats sans Frontiers organized a training on transitional justice for parliamentarians in Kampala. The Ugandan government said that it will document all missing persons killed during the northern Uganda war, as well as those suspected to be held captive by the Lord’s Resistance Army. No Peace Without Justice and its Libyan partners submitted UPR recommendations for Libya to reform its judicial system and ensure cooperation with the ICC. At least 29 Libyan soldiers were killed in car bombings and clashes in Benghazi. The International Center for Transitional Justice called for internationally led justice efforts in Mali to consider the national context and adapt to local needs. Nine UN peacekeepers were killed in an ambush near Gao, and another was killed in an insurgent attack on a UN base in northern Mali. The Malian prime minister called on France and the UN to step up the fight against resurgent Islamists in his country, and at the UN Mali requested that the Security Council send a rapid intervention force similar to the one deployed in the DRC. Activists and supporters of the Pan African Youth Congress and Patriots watched the Charles Blé Goudé confirmation of charges hearing live from Abidjan (in French). Georgia criticized Abkhazia’s decision to close down four out of five administrative border crossing points between Georgia and the breakaway territory. According to a new report, 11,000 people have been killed in northeast Nigeria as a result of the Boko Haram insurgency. Nigeria, Niger, Chad and Benin announced that they will boost joint efforts against the militant group. Meanwhile, the Boko Haram released a video of a man claiming to be the group’s leader, who the Nigerian military says was killed. The UN reported that over 300 people have been killed in Ukraine since the 6 September ceasefire. In an op-ed, Human Rights Watch’s Lotte Leicht argued that the European Union should be encouraging Palestine to join the ICC, not pressuring it to avoid the Court. Palestine’s UN ambassador said that Palestine will join the ICC if the UN Security Council fails to set a deadline for Israel to withdraw from Palestinian territories. UN High Commissioner for Human Rights Zeid Ra’a Al Hussein called on Iraq to refer ISIS’s alleged crimes to the ICC and to join the Court itself. The president of the ICC’s Assembly of States Parties (ASP), Tiina Intelmann, visited Ukraine for consultations on ratification of the Rome Statute. FIDH backed a communication seeking a preliminary examination into alleged crimes related to mass land grabs in Cambodia. Parliamentarians for Global Action’s David Donat Cattin said that governments need the political will to support international justice. AMICC profiled Sidiki Kaba, the consensus candidate to become the next ASP president. HRW noted that it was a shame that the Haitian justice system could not bring former dictator Baby Doc Duvalier to trial for crimes against humanity before he died last week, while FIDH said it would not be the end of attempts to secure justice for victims of grave crimes in the country. The UN secretary general and the ICC president issued a joint statement on the 10th anniversary of the UN-ICC relationship agreement, voicing their continued commitment to the relationship. In his annual report, the secretary general highlighted the UN’s role in promoting accountability for serious crimes and the universal ratification of the ICC Rome Statute. Thailand’s National Human Rights Commission will seek to bring former president Thaksin Shinawatra before the ICC, and a draft resolution in the UN General Assembly’s Human Rights Committee calls for North Korea to be referred to the ICC. Former ICC prosecutor Luis Moreno Ocampo said that the Court will not investigate Mexico’s drug war.